Since its establishment in 1935, Kanesu Seimen has been manufacturing Somen(Japanese thin wheat noodle), Soba(Japanese buckwheat noodle), Udon(Japanese wheat noodle), and Chinese dried noodles(Ramen). 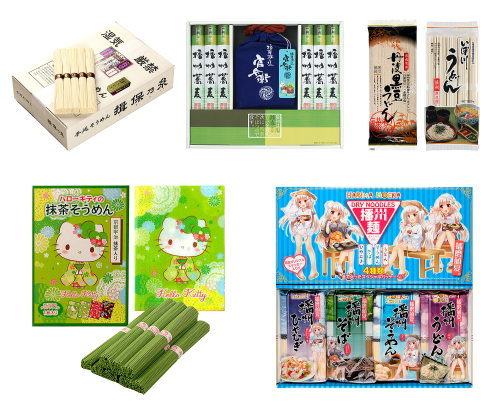 Kanesu Seimen is one of major noodles maker in Japan, and they produce very unique products such as “Hello Kitty” matcha green tea soumen noodle and “Moe character” noodles. 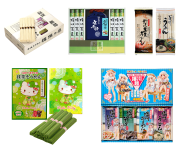 For more details about Kanesu Seimen, please click here. Pour water into the pan and let it boil. Put dried noodles in the boiling water and stop fire. Close the cap of a pan and leave it in the time according to notation for packages.